Basking in the cutting edge won't come cheap. 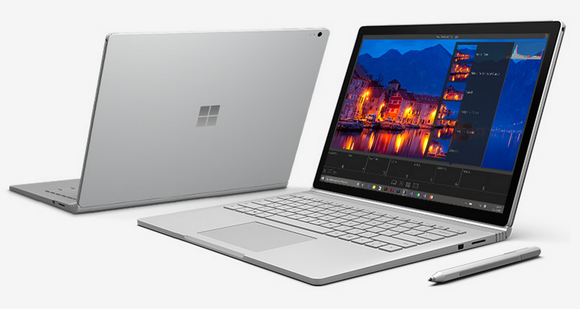 Microsoft’s mouth-watering new Surface Book laptop and Surface Pro 4 tablet merge hardware with software in ways that PC enthusiasts have only dreamed about in the past, but if you want to bask in Microsoft’s vision for Windows 10 yourself, it’s going to cost a pretty penny. Several truckloads of pretty pennies, actually. Both devices are up for preorder now with a street date of October 26. You’ll be able to pick the Surface Book and Surface Pro 4 up at the digital and physical versions of the Microsoft Store, as well as yet-unnamed select retail partners. Roll-your-own Surface Pro 4 configuration options. In a change of pace, Microsoft will also let you configure the Surface Pro 4’s components to fit your needs, with up to a Core i7 processor, 1TB of storage, and 16GB of RAM. 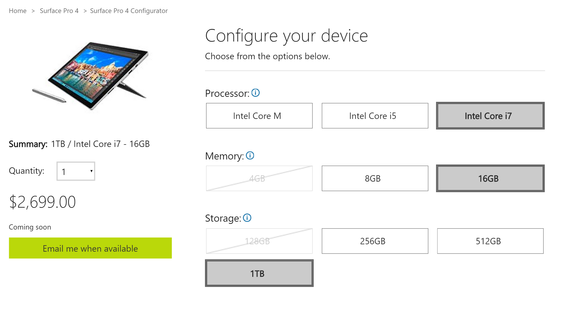 Blinging the laptop out doesn’t come cheap, though, with a fully loaded version setting you back a cool $2700. 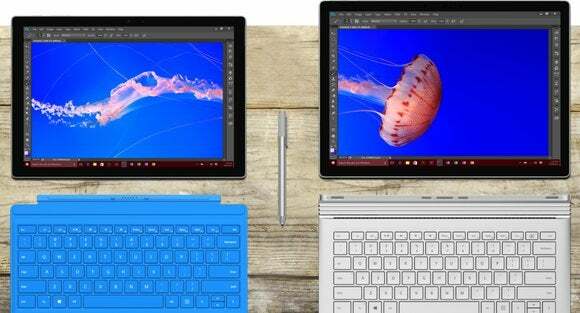 The Surface Book and Surface Pro 4 are just some of the killer new hardware Microsoft revealed on Tuesday. Check out our roundup of the 7 biggest Microsoft hardware reveals for the full nitty-gritty on new Windows Lumias, HoloLens, Xbox One, and more.